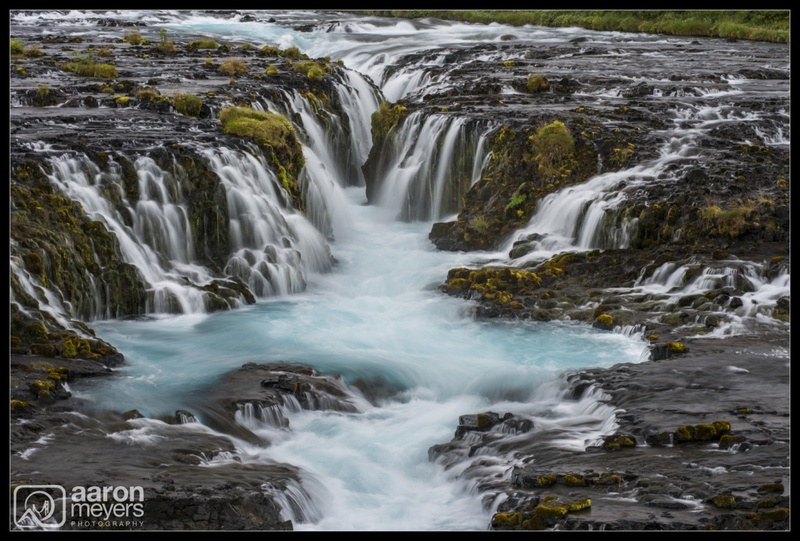 Brarfoss (pronounced Broo-ar-foss, slightly roll the first r) might be one of the most photographed waterfalls in Iceland and its easy to see why: it has multiple cascades of little waterfalls that pour into one larger stream as they make their way down several shelves. Throw in the amazingly blue water and youve got a magical scene. There was a slight drizzle as we pulled into the residential area outside Brarfoss. Its a little tricky to find your way to this waterfall but Sarah and Rons book Forever Light gave the perfect directions (follow them Some friends didnt and got very lost). Sammi was getting ansy to go to the next place and was waterfalld out by the end of our trip so I had just enough time to grab a few shots from the bridge and then run off. With some more time I would have gone down closer to the ledges and taken a few more shots from some more unique angles.